Delvecchio Finley is a visionary leader with a history of creating impactful changes in public health care systems as recognized on Becker’s ‘Top 25 Healthcare Leaders Under 40’ in 2015. As Alameda Health System’s Chief Executive Officer, Mr. Finley embodies the AHS mission of “Caring, Healing, Teaching, Serving All”, ensuring the continuation of a 150 year history to serve all residents of Alameda County, regardless of their ability to pay. Mr. Finley has extensive experience in health care including leadership as the Chief Executive Officer of Harbor-UCLA Medical Center. Serving more than 700,000 area residents, Harbor-UCLA is one of only five level one trauma centers in Los Angeles County and a teaching hospital. He also has exceptional knowledge of Bay Area health care given his prior responsibilities as Vice President of Operations at California Pacific Medical Center (CPMC), Interim Chief Operating Officer at Laguna Honda Hospital and Rehabilitation Center, Associate Administrator at San Francisco General Hospital and Trauma Center, and Division Administrator at the University of California, San Francisco (UCSF). Mr. Finley is board certified in health care management and a fellow of the American College of Healthcare Executives (ACHE). Mr. Finley also attained Graduate Certification in Health Policy, Law, and Management from Duke University. Mr. Finley is a leader in local and national health care professional organizations including a three-year term as ACHE Regent for the California Northern and Central region. He is past-President of the California Association of Healthcare Leaders (CAHL) and past-President of the Northern California chapter of the National Association of Health Services Executives (NAHSE). He is also a graduate of the 2007-08 class of Leadership San Francisco and a 2008 Fellow of the National Association of Public Hospitals and Health Systems. He frequently guest lectures at colleges and universities throughout Northern California and has appeared in major health care publications including Healthcare Executive and the Journal of Healthcare Management. 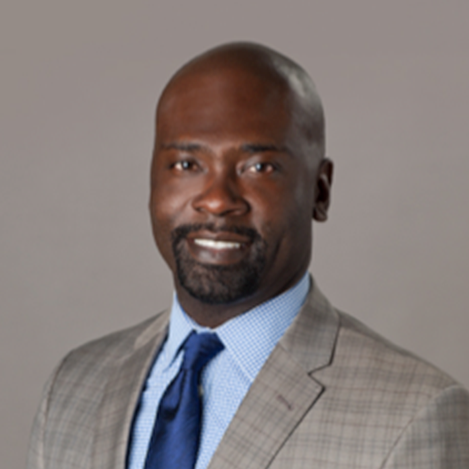 Mr. Finley has served as a board member for Operation Access, an organization that connects medical volunteers, hospitals, and uninsured patients needing minor operations; and Out of Site Center for Arts Education. He holds a Bachelor of Science degree in Chemistry from Emory University, and a Master of Public Policy degree from Duke University. Mr. Finley currently resides in Alameda County, California.